Life throws hundreds of things at you each day, and if you do not have your priorities set life can get very overwhelming. While eating and sleeping are relatively easy to remember to do, other things fall through the cracks if you are not careful. One area that many people ignore, overlook, or tend to “forget about” is the area of their oral health. If dental visits are not a priority, it is easy to go a year, two years, or more without visiting the dentist. While many people think that if they just brush and floss (occasionally) at home then they are doing enough, the truth is that they are not – and their entire health is at stake. 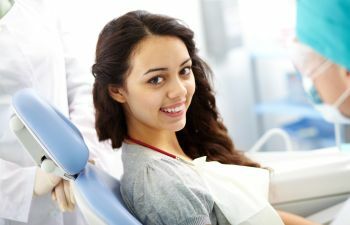 If you are not visiting your dentist on a regular basis, that is considered to be “oral health neglect.” Your dentist does more than “just” clean your teeth. During a dental visit, your dentist thoroughly examines your mouth for any indications of health concerns. Dentist are specially trained medical professionals who are able to identify the first signs of many diseases before patients themselves have any clue that something is awry. Dentists have been known to save lives by allowing patients to know of the first signs of cancer or diabetes are present. At Allen Dentistry, we value your complete health. Our comprehensive dental practice provides exceptional care with your best interests in mind. We want to partner with you in your oral health, but we cannot do that unless you make dental visits a priority. Call today to schedule your appointment.